» How would bridge toll work? How would bridge toll work? The planned bridge as shown on the Columbia River Crossing website. 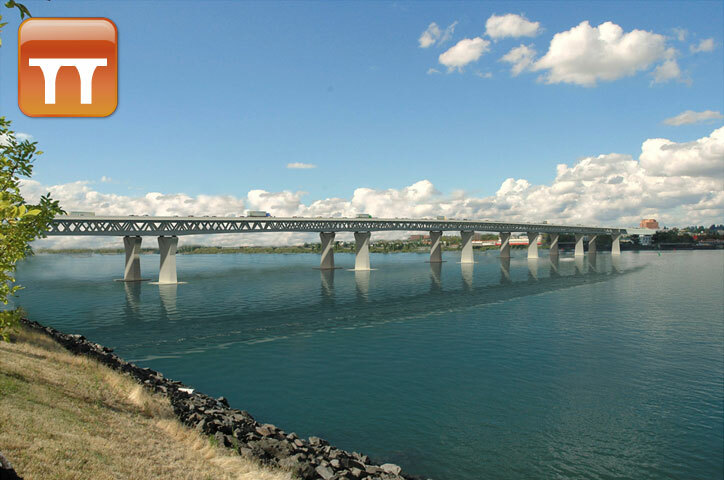 The Oregon legislature may be asked in February to approve a plan to build the Columbia River Crossing in Portland without Washington state’s help. There are many complicated parts to this issue, and for downstate motorists who cross into Washington only occasionally, the question of tolling is of particular interest. The $2.6 billion bridge would be financed partly with $1.3 billion in Oregon bonds that would need to be paid off over the next 30 years or so. They would be paid off with income from bridge tolls. There’s been discussion of the cars of regular commuters being equipped with transponders that trip the toll meter without stopping so the owners can be billed once a month. But what about cars going north from the mid-valley, for example, without that equipment? For them and anyone else without the electronics, toll booths would have to be manned on at least some of the lanes going each way. And what keeps drivers taking the open lanes without toll collectors even though they don’t have transponders? Photo surveillance of all traffic, with fines imposed through the mail on those who evaded the toll? Small typo… it should be $1.3 *b*illion, not million. I don’t think people will detour to avoid a toll of even a couple of dollars… the value of one’s time and the expense of fuel to drive farther will cost more than the toll.